This blog considers the inner workings of The Fitness Industry Association. CEO, David Stalker, chairs the blog, with key members of the FIA team contributing news from their departments. 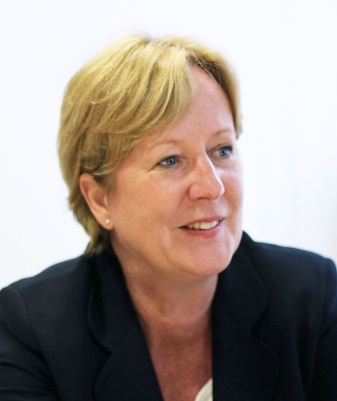 Guest post: Mike Farrar, chief executive of the NHS Confederation. This year we've witnessed the success of the greatest show on earth and we have been hearing a lot about health and wellbeing legacy-is there one? I'd argue there is and it's been created by staff in NHS organisations up and down the country. In July 2010 myself and David Nicholson launched the NHS 2012 sport and physical activity challenge. The aim: to improve NHS staff health and wellbeing, reduce sickness absence and improve productivity using the inspirational power of London 2012, providing opportunities as part of or linked to their working day. Why sport and physical activity and why the workplace? When asked 'what are the barriers to you engaging in sport/physical activity?' many people cite the fact that they work full-time and don't have the time to exercise. I was keen to utilise that eight hour slot in people's working day to enable them to become more active. Not necessarily to push them in the direction of gyms or formal sporting activities but to create opportunities that engage them. Why physical activity? The evidence base for the benefits of being active is very strong but the recent research into the impact of physical inactivity should be of greater concern to all of us. Why sport? The power of the brand of sport to engage people in local communities cannot be underestimated. There are some fantastic examples of local rugby, football and cricket clubs collaborating to improve the health of local populations and we've collaborated with them to provide opportunities for NHS Staff in their workplace -touch rugby; NHS cricket; NHS football 5s. There is a legacy and it's created and being delivered by NHS staff. Hear more from Mike Farrar at the Summit, 22nd November, London. Book your place now. Many of the athletes on the winners’ podium this summer began their sporting careers in council facilities. Rebecca Adlington had her first swimming lessons at Sherwood Baths in Mansfield, which is now named after its local hero. According to a snapshot LGA survey, over 40% of councils reported an increase in people wanting to get involved in sport during the Olympic and Paralympic Games. As leaders of place and employers, councils up and down the country are working with partners to seize the opportunity to use the Games to make a long-term difference to participation in physical activity. From April 2013 councils will be responsible for public health, joining up local public health improvement and physical activity provision. With everybody experiencing budget pressures strong partnerships between councils and the fitness sector are essential if we are going to unlock legacy. We need to work together to ensure that public, private and voluntary physical activity provision gives everybody the chance to get more active. *Hear more from Carolyn at the Summit; 22nd November, Congress Centre, Londo. I’ve spent the last 7 years building up to a fortnight of competition. As a British Olympic Association Ambassador, I did thousands of media interviews, sometimes spending 14 hours a day answering questions. I led Olympic site tours. Early ones involved hard hats, high viz jackets and plenty of imagination. But later on, I found myself proudly pointing out the gleaming buildings in the Park. I met with officials from LOCOG, the BOA, the IOC and Government. The best part of the build-up phase was a fun run with thousands of others around the Olympic Park, days before the Games began. I split the Games fortnight between Sky Sports’ studios (where I was doing some punditry) and the various Olympic venues, where I was shouting and screaming with thousands of others. Unforgettable days. But now it’s over, so what about the legacy? For me, the legacy is about ordinary people. I spend a lot of time talking with businesses and local communities about the benefits of a healthy and active lifestyle. Businesses are working with me to set up employee well being programmes, I help out at countless community sports “tryout” days. This is the legacy that matters; better health for the nation. For most of us, small lifestyle changes will make a big difference. There are leisure centres all over the UK, waiting to welcome us – regardless of age or experience. Why not try a class or have a swim? Go with friends or family and most importantly – enjoy it. There is so much passion from across the fitness and leisure industry, trying to get people healthy and active, I am very proud to be speaking at the FIA Summit on 22 November. I can’t wait to hear about what is going on across the UK to ensure the Olympic activity legacy becomes a reality. Book your place at the Summit now. For more information on Sally’s Healthy Living workplace wellbeing programme visit www.sallygunnell.com, like Sally Gunnell Healthy Living on Facebook and follow @SallyGunnellHL on twitter. Sally can also be found tweeting at @SallyGunnell. At IHRSA this year the keynote speaker, Simon Sinek, inspired us with a very simply premise: business should 'start with why.' In other words, the most successful businesses - with Apple front and centre of course - grow from a core of passion, purpose and set of beliefs. And from this core, everything they do can be traced back to this set of values and beliefs, instilling an integrity and rigour in what they make and how they sell and support it. Apple is all about powerful technology that's easy to use and beautiful look at. Later the same day, I met two of the founders of RunningUnlimited. A couple of guys who'd flown to LA to better understand the fitness sector - a whole new world for them. They'd started long-distance running a few years prior and with rather symbiotic backgrounds - one is a film-maker and media lawyer, and the other, a marketing strategist from the technology sector. And yet here they were. What immediately struck me was here was an example of 'starting with why'. Their why related to transforming indoor running. As Kevin Hewitt, our inaugural presenter of tomorrow's webinar, explained it: "I was aware of all these incredible technologies that were out there that could make indoor exercise so amazing and enjoyable. And the more we looked into what was going on in the sector, the more we realised we could really make a difference." As long distance, outdoor runners, their quest was to bring the outdoors in, to make indoor running enjoyable and inspiring. 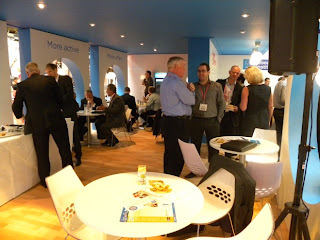 LIW 2012– were you there? A delegation of FIA staff and myself travelled up to the Birmingham NEC last week for three packed days of everything health and leisure: LIW 2012 – the biggest annual trade show for our sector. And once again, the show didn’t disappoint this year – it is great to see how members continue to innovate and develop solutions to gaps in the market, with suppliers showcasing some amazing pieces of new kit, including a personal favourite opposite us on the Life Fitness stand – the Synrgy360 which ran a demo loop to keep us entertained. A big thank you as always to the LIW team who did such a great job on creating our excellent FIA stand – a hub in the middle of all the activity, showcasing the FIA’s achievements and current projects. It was great to see so many members visiting our stand to find out more about the FIA, to hold meetings or just grab a seat (and a drink – kindly provided by VitaCoco and UltraBody) and relax for five minutes. My personal highlights included having the opportunity again to give a keynote, which showcased the FIA’s passion and drive for delivering on an Olympic and Paralympic physical activity legacy; seeing some of our brilliant Team GB athletes at the show including the UK’s most successful gymnast Beth Tweddle, rower Greg Searle and the inspirational weightlifter Zoe Smith (who I made sure I had my pic taken with); and our drinks reception (sponsored by Life Fitness) on Wednesday night, which I think personally was the best yet, with a great atmosphere and band, and a successful raffle for our chosen charity, the Matt Hampson Foundation (see below for the winners). The IOU seminars in the education village were also a huge success, covering a wide range of relevant topics. But the best thing about LIW is always for me and the team to meet our members in person – thank you to everyone who took the time to come and visit our stand. The FIA stand was a hive of activity throughout the three days, hosting an afternoon tea sponsored by TRX, a lunch for Sporta members, a speed networking session and a dinner and lunch for the leaders in health and fitness hosted buyers’ programme. We also launched the process for the Flame Awards 2013 at LIW, kicking off with a series of popular seminars presented by myself, David Monkhouse and Mike Hill on what Flame is, how to enter and how to stand the best chance of success. Following on from the success of this year’s awards, we are encouraging operators from across the sector to enter, no matter what their size or business model. Going back to my keynote speech, I spoke about how together we can achieve more and work towards an ambitious aim of making the UK the most active nation in the world. This is not the FIA's legacy to deliver but the sectors. The FIA is the facilitator, creating partnerships and pathways to help deliver more people, more active, more often. This was reflected in our recent rebrand consultation, which returned an overwhelming ‘yes’ to our keeping this as our mission. I know many of you are very eager to find out more about our new name and brand identity, but you will have to wait until the big reveal at the Summit in November. If you missed my keynote you can read a report here summarising the key points. At such a busy time for all of us working in this sector, it is so rare to be able to have the opportunity to socialise and network in an informal atmosphere. The next time we will see all our members together again now will be at our Summit in November – have you booked yet? The 300 or so of you who came along to the Summit when it re-launched last year will know what an interesting and thought-provoking event it was, and this year we have set ourselves a target of exceeding those expectations with our line-up of high profile speakers. Don’t miss out on being there – if you are an FIA member and you book before 25th October you can also take advantage of an early-bird booking discount. Look out for guest blog posts from some of our speakers, coming soon. And finally, if the LIW piqued your interest in education and professional development, you can now book for the FIA’s upcoming seminar series on accessing funding and also watch out for our upcoming webinar series– a new membership benefit for FIA members covering topics as wide as retention, social media, music licensing and public health structures. Whether you are an independent operator, manager of a single site or a PT, we will have something for you. Keep up-to-date one what is really going on in the sector. All will soon be revealed, but in the meantime you can contact colin@fia.org.uk to find out more. I look forward to seeing you at one of our upcoming events soon; if there were any questions left unanswered at LIW we are only a click or a phone call away – please do keep in touch. Congratulations to all our winners and thank you to the company’s who generously donated the prizes. With LIW 2012 just around the corner next week, I wanted to let you know about the packed schedule the FIA is delivering. The FIA stand (H465) will be in the Industry Lounge. Please come over and talk to me and the team about all our latest developments including spogo, the Research Institute, Flame 2013, new policies, our programmes and of course, if you’re not already, why you should became a FIA member. I will be joining Kevin Hewitt, founder and CEO of Running Unlimited and Ben le Vesconte, Head of Education at Vivobarefoot, a specialist footwear company to highlight how the sector can benefit from the 70% of recreational runners who run indoors in the UK. 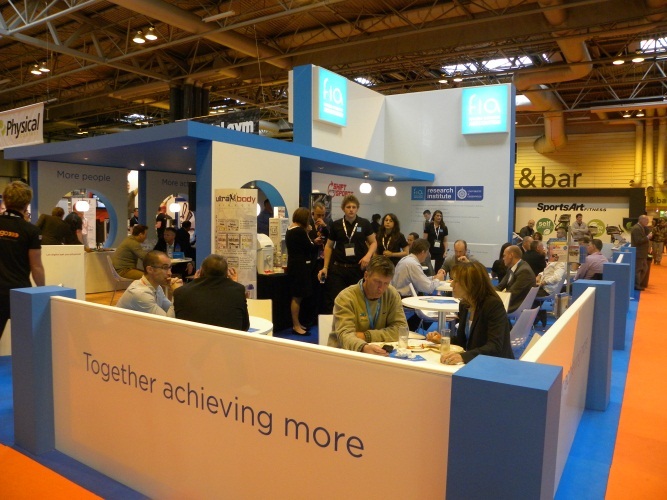 With top tips, you will learn how you can gain sector acclaim at Flame 2013. Those of you who know me well, will of course know I don’t like to blow my own trumpet (too much!) but obviously my keynote; the Legacy begins is a must attend session. I will talk through how post-Games your trade body is working for you and making the UK the most active nation in the world. The FIA and Life Fitness would like to invite you to attend our drinks reception. Location: FIA Industry Lounge (stand H465) and the Life Fitness stand H530. Non-members will be charged £35 + vat per ticket. Return your completed booking form to georgia@fia.org.uk. What a magical two weeks we have just had. The images will live with us, in our minds, for ever. The dust will not even have had a chance to settle before the debate begins about Legacy. There should be no debate as to whether this was the right way to be investing public funds during a period of austerity: from my perspective, as a nation, we have no option to capitalise on Legacy as a result of the challenges that are staring us in the face. We only have to make the most marginal impact on the projected cost of overweight and obesity of £50bn by 2050 to have made this the very best £7bn we have ever spent. And that is now the challenge that we have to pick up, together. There will be acres of column inches written in the weeks to come, debating whether we truly will have a lasting Legacy from these Games. To squander this opportunity would be criminally negligent, given the opportunity we have to harness the excitement of a generation which truly has been inspired. The support to do so is deafening and crosses the political divide. Even before the Games, we learnt that Tony Blair was to return as a policy advisor to Labour on Legacy. Yesterday we had the announcement that Seb Coe would take up the same role for the Government. My hope is that they pick up the phone to each other and tackle this challenge hand in hand. Creating a lasting Legacy from the London 2012 Olympic and Paralympic Games is too important for knee-jerk decisions and party political positioning. The decision to secure elite sport funding through to Rio 2016 was the right one; however, as The Sports Think Tank has pointed out, the comment by the Prime Minister that primary schools should focus their efforts solely on competitive sport was a statement seemingly shaped by personal experience and based on no evidence or advice from the experts. You only have to listen to the comments of some of our greatest Olympians such as Sir Steve Redgrave and Denise Lewis this weekend to realise that what matters is getting the youth of this nation moving, building their physical literacy and enjoying themselves, with the ability to excel and chose their sporting route later in life. But the challenges we face as a nation mean that we cannot simply focus the debate on Legacy on children and young people – there is a far wider issue that we have to tackle. Our opening ceremony placed the National Health Service at the heart of the Games and it has to be at the heart of thinking about Legacy. Physical activity, including sport, is intrinsically linked to the future of our National Health Service. This is increasingly recognised within the medical profession, as the recent Royal College of Physicians report “Exercise for Life” demonstrates. The reality, as it stands, is that the provision of healthcare free at the point of use through the National Health Service is at long term risk as it struggles to meet the rising costs of an aging population increasingly burdened with lifestyle related diseases. Currently, only a third of adults meet the Chief Medical Officer guidelines for physical activity whilst physical inactivity is the fourth leading risk factor for global mortality and costs the UK economy £8.2 billion per year. According to the Chief Medical Officer, physical activity can reduce the prevalence of chronic conditions such as Type 2 Diabetes, Obesity, and Stroke by between 30-50%. An inactive person spends 38% more days in hospital, yet there is no clear plan regarding how to increase the number of healthcare professionals who recommend and refer to physical activity. As Jo Webber, Deputy Director of Policy at NHS Confederation pointed out at a recent FIA Vanguard Members event, meeting this challenge is essential to the survival of the NHS. So how do we move forward? At the FIA, we stand for getting more people, more active, more often. We always have and always will. We’re currently going through a process to rebrand our organisation so that we can bring more organisations together. The fact is, together we can achieve more. But what do we want to achieve? Team GB demonstrated at the London 2012 Olympic and Paralympic Games that it’s amazing what can be achieved when you put your mind to it. And we should put our mind to achieving something amazing: like making the UK the most active nation in the world. How do we do that? Well, that’s the hard bit to which I only have some of the answers. It requires a “grand partnership” across the sporting and activity world, bringing together strategies which together can have a great impact than the sum of their component parts. - Bottle the spirit: the GamesMakers truly made the Games. Volunteering is what keeps community sport alive in this country. Sport is the very embodiment of the “big society” with volunteers giving birth to the backbone on which success at the elite level. We need to continue to say thank you and support those volunteers that make such an impact. Sports Makers, a programme led by Sport England, should be embraced and we should all be thinking about how we can make sport happen for our local community. You could even start this weekend – why not check out www.joininuk.org and join the thousands of people who are going back to where every Olympic medallist starts, their local community sports club. And as part of the legacy if people will not come to the sports club, let's bring the sports club to them and drop it on their doorstep just like StreetGames. - We have to make exercise a routine part in the prevention and management of chronic disease. We have the National Health Service but we need to make “wellness” an equal concern to “illness”. How can we get exercise professionals into every GP surgery as part of the healthcare team? How can we make the most of the fantastic asset we have in the new National Centres for Sport and Exercise Medicine? How can we harness the expertise of specialist Sport and Exercise Medicine Doctors who are now able to have such a huge impact on the health of the nation? Finding the answers to these questions really will help us to establish what we all know: exercise is medicine. - Put simply, these Games would not have happened without the support of the 54 Olympic partners who contributed significantly towards the cost of bringing the greatest show on earth to London. Rightly, they owned the Games. However, we have to be clear: the Legacy belongs to everybody. Those brands and commercial partners, who have so far been excluded from the glow of Olympic glory, need to now be embraced at the heart of making Legacy a reality. The major challenges facing us in creating a Legacy cannot be addressed by Government action alone. Ultimately, a societal approach is needed in which business, government and other actors all move forward in the same direction together. The Responsibility Deal Physical Activity Network which now has over 200 organisations signed up shows that corporate Britain wants to play a role in improving public health and needs to be embraced. - These were the first truly “Digital Olympics” – the Games in which social media came alive to bring us as the spectators intimately close to the competitors and each other as we cheered them on. In addition to human endeavour, these have also been a technology focused Games with our most successful teams such as British Cycling exploiting every opportunity to explore technology in pursuit of their much craved “marginal gains”. Technology has to be embraced by the sector as the primary driver of growth in the future. As a start, I urge everyone to get behind spogo – the sports and fitness finder which the FIA is developing in partnership with Sport England. It is early days, the site is in beta, and we are aware of the challenging task we face in making it as easy to find and book sports and fitness services online as a train ticket or hotel room but I promise to disrupt and challenge everyone in the sector until we have reached that goal. Innovation has to come to the fore and technology has to be the way we achieve that. Just imagine where the digital world will be by Rio 2016? Let’s not get left behind. - 9.8% of children enter primary school as obese yet twice as many (18.7%) leave primary school as obese. Such figures leave our primary schools open to accusations of being “Fat Factories”. We have to crack this once and for all – a ridiculous debate about whether competitive sport or Bhangra Dance is the answer helps us get nowhere. For starters, let’s confirm that school sport funding for secondary schools needs to be returned to the levels they were at prior to the Comprehensive Spending Review. Once that’s done, let’s give activity in Primary Schools the attention it deserves, and the resources. This isn’t just financial – exercise, sports and activity professionals across the country could do worse than to volunteer an hour or two of their time every week to their local community primary school. The Jason Kennys, Katherine Copelands, Adam Gemilis, Laura Trotts, Brownlees, Sophie Hoskings and Anthony Joshuas of this world have grown up during a period of unique investment in school sport and we need to keep investing to make sure the well doesn’t dry up. The Youth Sports Trust is one of the sector’s greatest success stories and we could do worse than listening to them moving forward. This agenda stretches beyond the school yard and requires community sports clubs, local leisure facilities and exercise professionals to work together to improve provision of young people. I also like the campaign run by First News – the children’s newspaper – to guarantee membership of a local sports club for every young person. Big ideas like that deserve to thrive. You can back the petition here. - We have an army of professionals out there who can make an impact on the health of the nation. The fitness and exercise professionals across the UK need to be deployed appropriately but they also need to keep on training, improving their skills and learning new approaches to deal with people who simply haven’t been interested in getting active in the past. We also need to recognise that ours is a sector full of opportunity for young people and open our doors to provide work experience and real job opportunities in a sector with no artificial glass ceiling created by a preference for academic ability over the ability to emphasise and motivate the public. We need to recognise the role of the sector on the health of the nation and deem it as a “priority sector” for skills investment in the future. - Finally, it’s a hackneyed phrase which is often the case with something which is simply true: the drive for Legacy has to be an integrated cross Government strategy. This means that we need to bring together those various Government departments and make sure they interact where their interests in physical activity converge. DBIS, DWP, DCMS, DH, DCLG, DfT, DfE, and DEFRA all have considerable interest in the agenda but lack a means of coordinating effectively. We need to recognise that the Olympics will leave a Legacy far beyond the local community sports club which will stretch out onto the roads of Britain as youngsters seek to emulate [Sir] Bradley Wiggins and we need to have an infrastructure in place to support them. That’s why organisations such as Sustrans have such a crucial role to play in the Legacy debate, which simply shouldn’t be the preserve of the sporting bodies that have delivered athletes to the main event but a much wider coalition of organisations dedicated to getting more people, more active, more often. Rising to this opportunity will not be easy: embedding sustaining volunteering and community sports structures across the country, establishing exercise as medicine, innovating to capitalise on the Digital Olympics, nailing consensus on school sport, tooling up our army with the skills they need and generating cross Government support and investment is some task. But so is finishing third in the Olympic medal table. We are now the pound for pound most successful sporting nation in the world. Can we become the most active as well? That’s a national challenge I’m excited about taking part in. Dave Stalker is the Chief Executive Officer of the Fitness Industry Association (FIA). Dave’s considerable experience of the industry is drawn from working in the UK and Europe for almost 20 years. In that time he has worked at every tier of the corporate ladder from a Level One fitness instructor to CEO and served previously as an elected member of the FIA Board of Directors. Prior to joining the FIA, Stalker was Managing Director of Worldwide Health Ltd. He has also held senior positions with companies such as Bladerunner, LA Fitness, Leisure Connection and First Leisure. Dave, who is married with two children, is an enthusiastic follower of most sports, and particularly of rugby, which he played for a number of years in Kenya, his country of birth. His Kenyan background has also given him an enthusiasm for wildlife and he believes he would have been a marginally better TV presenter than Attenborough.